Mercator’s projection is a way of making a map – of answering the question of how a surface of a sphere – the earth – can be represented in two dimensions. It has big advantages for navigation, but it gives the wrong impression when it comes to how big places really are because it makes places nearer the equator look smaller and placer nearer the poles look larger. The thing is, my primary school classrooms had maps made using Mercator’s projection. So that image of the world is stuck in my head. In high school I learned of the limitations of such maps, but that fact did not replace the image stuck in my head. 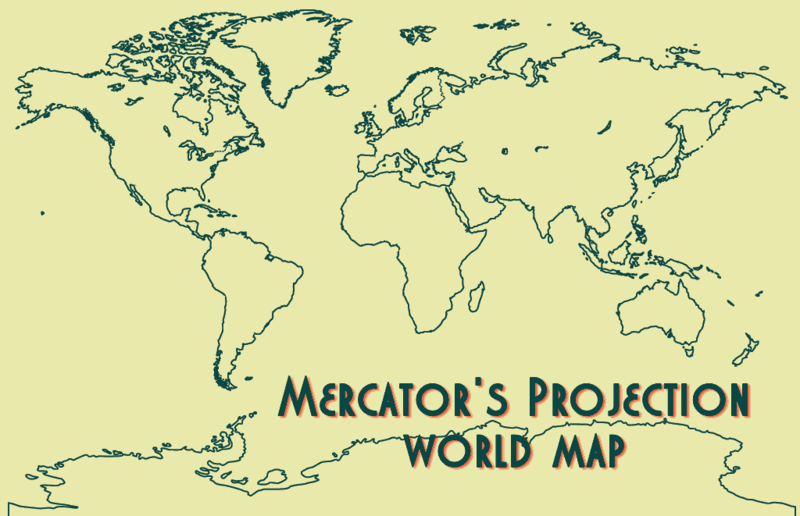 I still had Mercator’s view of the world. The animation below shows how wrong I was about the size of Africa compared to the US. That changed when I actually came to Africa. Living a reality that was obviously and radically different started replacing the Mercator’s image of the world in my head. So the map above tells something about my personal journey to understand Africa, and the world, on its own terms rather through the lenses supplied by my recollections of my primary school education. Makes me wonder how many other distorted views of the world I developed when I was a child that I have not yet corrected. The official language of most African countries is either English or French although in many countries most of the population does not speak either of those languages. If you liked this, you might also like Worse than you thought, Christianity in Africa or Flag map of Africa. This entry was posted in Africa and tagged map, Mercator, mercator projection, size of Africa. Bookmark the permalink. I love this post, especially the gif. I wonder what it would look like with Alaska tagging along?